Usually, manufacturers engage in racing to promote their production vehicles, but Lotus is no ordinary automaker – they used to sale road cars to finance their racing efforts. Appropriately, the road cars they offered were never too far from their motorsport relatives. 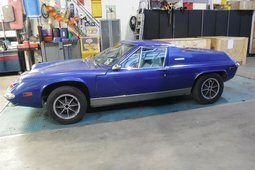 Lotus Europa fits this mold perfectly – it offered a lightweight fiberglass body, a mid-mounted engine and F-1 inspired independent suspension in all four corners. With a price tag of less than USD 4,700, Europa was one of the first mid-engined sports cars for regular mortals. The reason why Europa had this layout is that it originally started out as a design entry for Ford’s project, which would eventually spawn GT40. In the end, the design proposed by Ron Hickman, a director of Lotus Engineering at the time, did not win and Ford partnered up with Lola. Rumors say, that Lotus did not agree on their car project being branded as Ford. Colin Chapman, founder and head of Lotus, saw the potential of this GT racer prototype and implemented the design for a new road car. This is how Europa came about. It was Lotus’ first road car with its motor in the middle, it debuted in 1966 and was meant to conquer the continental European market. Appropriately named car was not even offered in the UK until 1969. In order to make it more appealing on the continent, Lotus utilized a Renault motor, instead of choosing a Ford unit as usually. 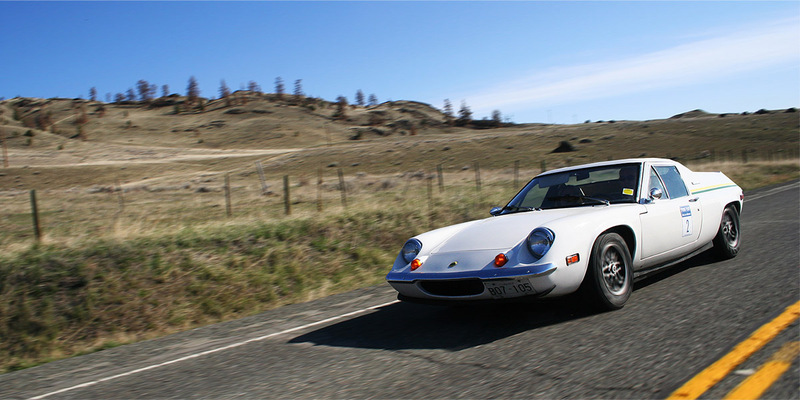 1.5-liter power plant in Europa S1 and early S2 was very similar to the one used in Alpine A110. 85 bhp engine was not too powerful and the chassis could definitely handle more, thus it was replaced with more powerful 1.6-liter Renault engine in S2 and Ford 1.6 l unit in S3. The latter produced more than 100 bhp and could propel the little car to 200 km/h. Colin Chapman famously followed a rule to “simplify and add lightness” when designing cars and Europa is true to that ethos – depending on the trim, it could weigh as little as 610 kg at an expense of some creature comforts, such as proper door handles. The most ascetic road-going version was the early S1 (Type 46). To shed weight and maintain perfect mass distribution, in a true race car fashion, the S1s seats were fixed and the driver could only adjust the pedal box. The earliest cars even had fixed side windows and molded singular fiberglass body. The latter helped to increase the overall stiffness and save some weight, but ultimately led to extremely complicated repairs as body panels could not be just simply detached. Some of the car’s shortcomings were addressed when S2, known as Type 54 in Lotus circles, was released in 1968. Although at first the newer version used the same 1.5-liter engine and did not differ much from its predecessor externally – only new turn markers were present, inside it was a far more civilized machine. Lotus added additional carpeting, adjustable seats, electric windows and even conventional door handles. All of these interior improvements made the car much more appealing to a wider audience. It also became less of a headache in case the owners crashed them – S2 had bolted-on panels that could be removed fairly easily. Lotus then increased the engine size to 1.6-liter and finally brought Europa to their home market UK with this much more user-friendly iteration. Even S3, the last version of Europa, despite increase in mass and complexity, was still a true featherweight Lotus. With a curb weight of 740 kg, nobody would blame Lotus engineers for “complicating and adding ballast” in this new Type 74. Any negative effects induced by this extra weight were easily offset with extra power provided by a new 1.6-liter engine, which was introduced when the car debuted in 1971. It was a Ford twin-cam unit that Lotus modified, and, depending on the version, made from 105 to 126 hp. That allowed the Europa to reach 100 km/h in mid-6 seconds, making it quite a competitor at the time. Externally, Lotus removed the sight-obstructing buttresses in the back. After winning 1972 F1 GP, Lotus released a limited edition Europa, clad in their F1 livery. As their main sponsor was John Player Special, these 100 cars are known as JPS. The racing livery was so popular, it was later offered until the end of Europa’s production, although these cars were no longer considered JPS. Europa’s ties to motorsport were not limited runs of F1 livery bearing cars – Type 47 was a version of Europa meant specifically for racing. It is estimated that around 60 of these cars were produced, and they were raced by privateers and the manufacturer itself. It used 1.6-liter Ford engine, developed together with Cosworth, as well as different suspension design, featuring bits from various Lotus racecars. Even the body of Type 47 differed – with wider wheel wells to accommodate wider tires and thinner panels to reduce even more weight. Soon Colin Chapman decided that Europa needed to be made more competitive, thus two Type 62 prototypes were developed. They were race-focused machines that only shared the outer shell with the original road car. This approach made the car quite successful during its short lived career – Type 62s won 8 of 23 races they ever entered. Since Europas were originally quite attainable, there are many to choose from today. S2s and S3s can be bought for less than EUR 20,000, while rarer S1s can cost EUR 30,000 and more. It is a fair price to pay, considering the racing expertise that went into producing this lightweight masterpiece.